In the game of princess go to school, you will meet Aurora and Jasmine, who had a great summer and are preparing to go to school. Therefore, they need a new outfit for the first school day. Choose a princess dress or top with pants or a skirt and lift them up by creating a great outfit that fits them perfectly. In addition, you can offer them a couple of warm things in case it is cold on this day. In this game you can choose an outfit for each of the fashionable princesses. Use the mouse and buttons on the game screen for this. You can play both on the smartphone and on the computer. 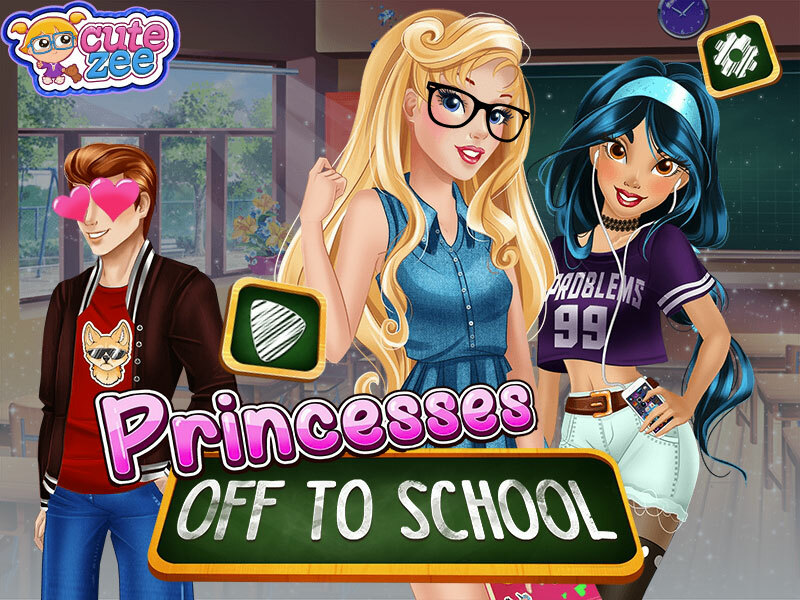 If you like dress up games with princesses , be sure to look at other games that we have gathered a lot. Have a nice game! Played: 1872. Added: 13-11-2018, 10:49. Princesses off to school dress up game.